At Lifetime Skin Care we believe everyone deserves to have naturally radiant skin. That’s why we’ve partnered up with SkinMedica, who has dedicated years of research to formulating advanced skin care products that rejuvenate skin. 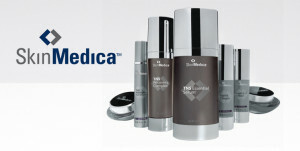 Their entire aesthetic product line is based on the science of the skin’s own healing abilities. As skin ages, elasticity decreases, lines appear and overall appearance is diminished. To counteract the effects of time, the skin care products contain restorative ingredients and vitamins that work below the skin’s surface to regenerate the health of the skin. The scientifically proven recovery compounds include essential ingredients ranging from vitamins C and E to retinol to TNS®, the patented blend of growth factors, soluble collagen, antioxidants and matrix proteins. The impact is clear – fine lines are reduced, age spots and discoloration fade, and skin texture and elasticity is improved. All results of our commitment to creating a lifelong skin care solution for healthier skin. This package includes Laser Hair Removal for the legs, arms, under-arms, bikini line and upper lip. Call for special pricing at (586) 215 7900. This package includes FIVE Microdermabrasion treatments for only $200. This package includes one Classic European Facial with the option of either a Microdermabrasion or a Glycolic peel for $100. This package includes four, forty percent Glycolic Peels for $200. Eyebrows, Eye liner and Lip liner for $600. Buy one Vitalize Peel and receive an additional Glycolic Peel at no additional cost.